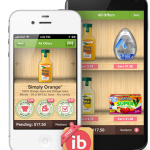 Ibotta: $5 CASH for registering plus earn cash for in store purchases! You are here: Home / coupons / Ibotta: $5 CASH for registering plus earn cash for in store purchases! 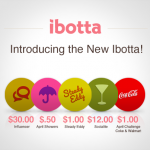 If you haven’t checked out Ibotta yet, you’re missing out on earning cash back for purchasing your favorite products in store! 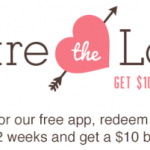 This app is available FREE for your iPhone and Android devices! I just started using the app this week and I’ve already earned enough cash back to cash out! It’s super easy! 1. Download the app onto your Smartphone or mobile device (it works on iPhone 3Gs, 4, 4S, and 5, iPod Touch, iPad, and Android devices). Sadly, this is only available for Smartphone users. 2. Scroll through the available coupons and select the different tokens for each offer to add the coupons to your Ibotta account. This week, I added coupons for products like Eggo waffles, Pop Tarts, DiGiorno Pizza, and Diet Coke. 3. When you go shopping, purchase the items from your Ibotta list. You can earn cash back for items purchased at CVS, Kroger stores, Publix, Safeway stores, Walmart, Target, and Walgreens. 4. Take a photo of your receipt and submit it. You will receive cash back for your qualifying purchases! 5. When your balance reaches $5+, you can transfer money to your Paypal account! 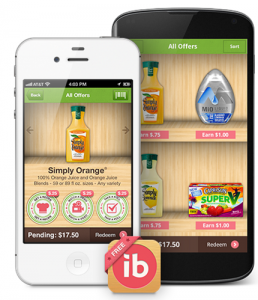 Ibotta is also great because it’s cash back, so you can still use paper coupons on your purchases to save even MORE money! NOTE: Your $5 bonus will be active in your account after you submit your first receipt! NEW Ibotta App and $2 bonus for new users! Oh no. You don’t have access to Android apps? I just signed up a couple days ago.. Sad that I missed the $5 for initial start! Vanessa – did you sign up under someone? If you did, you may still get $5 when you submit your first receipt.